The 2019 Dakar Rally has simply been a wild one, and quite possibly, one of the most competitive editions in recent years. With one stage remaining, there’s no rider with a real set chance of winning, and a number of talking points have come out of the last two weeks. We’ve compiled them for this instalment of Countdown. While the efforts of Toby Price (Red Bull KTM Factory Racing) and Rodney Faggotter (Yamalube Yamaha Rally) have been widely publicised, there are two Aussie privateers still battling right to the very end: Ben Young (KTM) and James Ferguson. 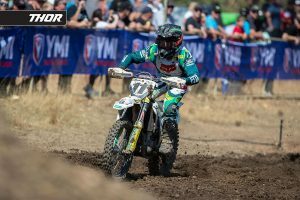 Young has pushed through every stage and currently sits 53rd in the standings, while Ferguson has encountered a couple of issues, re-entering the race to be ranked 68th. Faggotter was ruled out on stage three with a technical issue. If you’re a motocross or supercross fan, Andrew Short needs no introduction. It was a shock when he announced he’d race Dakar in 2018, and with one attempt already under his belt, the American has positioned himself strongly for a maiden podium in the most demanding motorcycle race in the world. 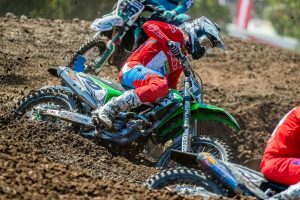 Despite sitting 34 minutes behind defending champion Matthias Walkner (Red Bull KTM Factory Racing), he still stands a strong chance of podium success in the notoriously unpredictable race. This year’s edition of Dakar has seen a number of changes in the lead, in fact, there has been five changes for the number one spot in nine stages. Riders featured at the top of the standings include Joan Barreda (Monster Energy Honda Team), Pablo Quintanilla (Rockstar Energy Husqvarna Factory Racing), Ricky Brabec (Monster Energy Honda Team) and Australia’s very own Dakar champion Price. Dakar is unforgiving on both riders and machines. The HRC-backed Monster Energy Honda Team has experienced a serious bout of misfortune, with its two earlier leaders Barreda and Brabec being ruled out of the competition. 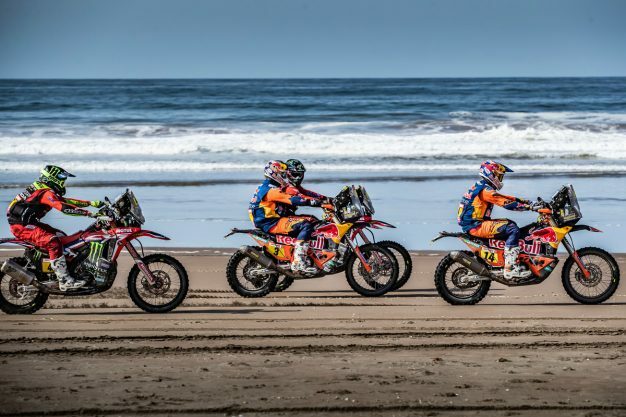 Barreda struck issues earlier on and was forced to forfeit when he became stuck, as Brabec encountered mechanical issues on stage eight while leading. Adding to the team’s woes, Paulo Goncalves injured himself on day five. Sitting 1m2s behind Price in the classification heading into the final stage, Quintanilla is in the hot-seat to take out victory if he can overcome the Australian. 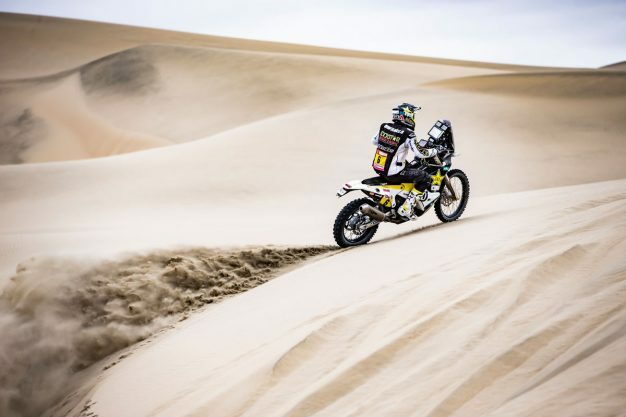 If he wins, it not only marks his maiden Dakar crown, but it will be Husqvarna’s best ever result in the event, and will ensure KTM’s 17-year-long winning streak comes to an end. The final stage of racing is going to be a cracker! What can we say about Toby Price? He’s a straight up legend and Australian hero. Suffering a broken scaphoid leading into the event, Price was always going to be on the back foot, but you wouldn’t think that considering he’s led the final two stages. 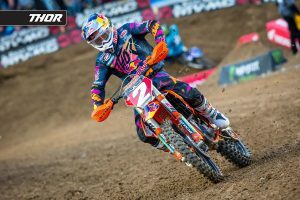 It’s been a heroic performance from the factory KTM ace, as he’s remained extremely consistent despite severely suffering from the injury. Wherever he ends up – if that’s winning, on the podium, or a DNF – I think I speak for all of nation in that we’ll be overwhelmingly proud of him.